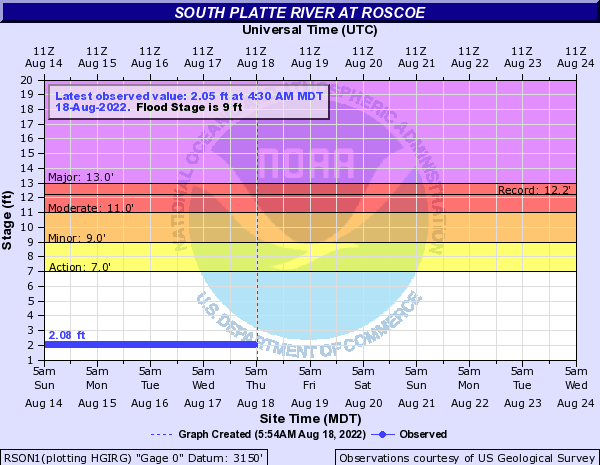 USGS Current Conditions for USGS 06764880 South Platte River at Roscoe, Nebr. USGS 06764880 South Platte River at Roscoe, Nebr. USGS scientist making a streamflow measurement using an ADCP near USGS gaging station: South Platte River at Roscoe, Nebr. This station managed by the North Platte Field Unit.